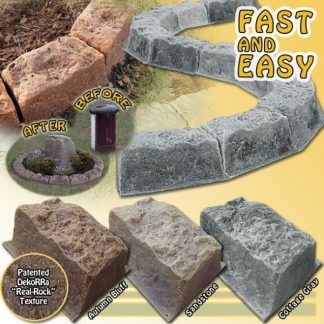 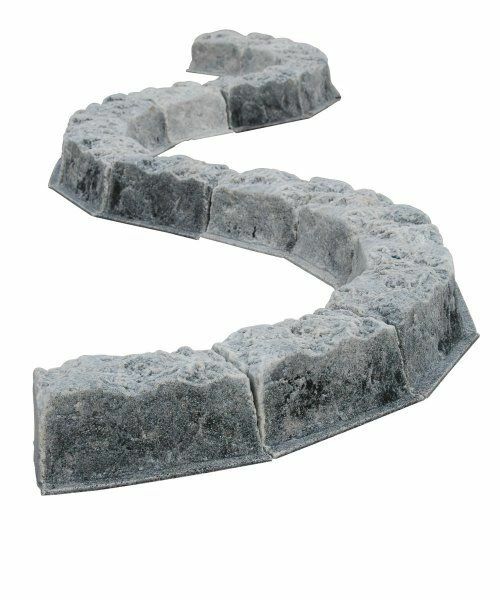 It’s all included: the DekoRRa Faux Rock Cover, the DekoRRa Faux Border Edging and the Pre-Cut Weed Barrier Template! 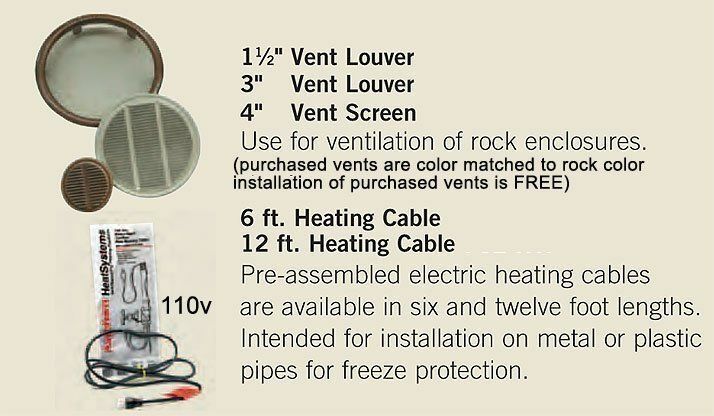 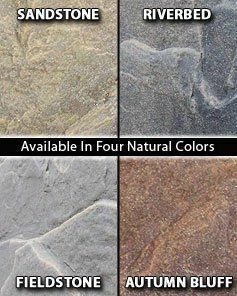 It’s all here in one easy to order, economical package that ships fast and free! 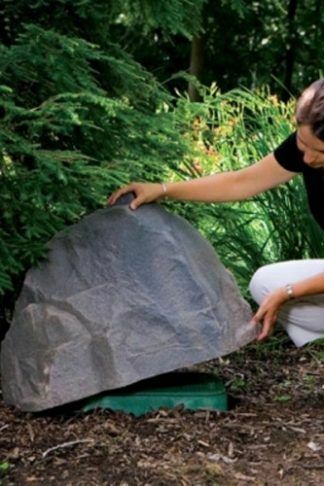 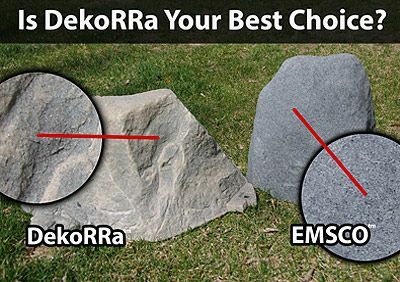 Here’s how to order: 1) Measure the Height and Diameter of the Well (please measure diameter as a diagonal measurement spanning the widest part of the top of the well looking down on it from above) 2) Use this fitting guide to confirm the DekoRRa Artificial Rock Cover included in this Well Cover Kit Is large enough to cover your well ot pump. 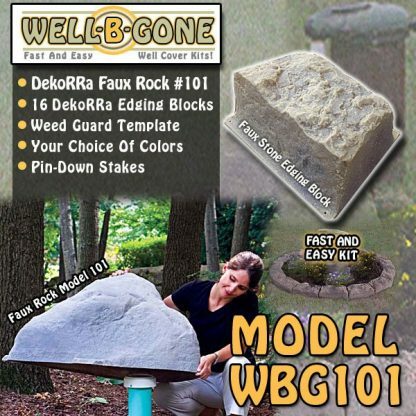 Please keep in mind that you will most likely be adding mulch or stone under the rock and around the base of the well. 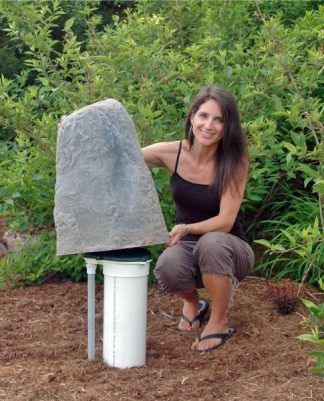 This will decrease the overall height by an inch or two.